Digital Analog Converters (DAC) in recent years are achieving better and better sound quality, with some getting smaller and lighter that, yes, can still be considered of audiophile/high-end quality both in sound and construction–and at a lower cost than one might think. Some of these newer smaller DACs have a variety of integrated features from among volume control, a preamp for analog input, headphone amp, phono stage–and even amps and streaming, in some cases. This trend is yet another example in high-end audio, where the meaning of ‘integrated’ has been expanded to describe any audio unit that incorporates several functions for your audio system. Certainly a prime example of this progress is demonstrated by the Brooklyn, New York based company Mytek, which, in mid-October 2017, released the object of this review, the new and improved Mytek Brooklyn DAC +. I am grateful to Mytek President Michael Jurewicz for promptly sending me a unit for review. I had spotted the DAC + at the recent RMAF 2017 (Denver Colorado, early October) in the lobby with Jurewicz, where it was being debuted and was sufficiently impressed to accept his offer of reviewing it. As a Manhattanite, naturally I was initially interested in reviewing the much more expensive Mytek Manhattan II DAC; but the tiny size, lower price, and extraordinary array of included technology in the new Brooklyn DAC + truly intrigued me. At only USD $2195 the DAC + is integrated indeed: DAC, headphone amp, volume control, preamp, phono stage, all inside a mere 3.8 lbs solid, modern, very-cool looking metal box with dimensions 8.5” (W) × 8.5” (D) × 1.75” (H) that even has a 12V DC input for connecting (if you so wish) an external linear power supply in lieu of using the unit’s built-in switching power supply. An amazing use of space. I will further elaborate on these various features in this review. Interestingly, the Brooklyn DAC +, although designed in NY, is manufactured in Poland. Jurewicz is originally from Poland, having graduated from the Warsaw University of Technology with a Master of Science graduate degree in Studio Electronics and Acoustics. Although Mytek began manufacturing DACs for home use only since 2011, the company was founded by Jurewicz in 1992 in Brooklyn New York, having already developed innovative products only for use in professional audio, such as for digital mixing in recording studios. Jurewicz had worked in the past in New York recording studios such as the legendary Skyline Studios. Coincidently, the other day I was invited to a listening session in Alan Silverman’s ARF! Mastering studio in Midtown, Manhattan. What did I see scattered about in use? Various ‘Mytek Digital’ professional units that I had never seen before at any audio show or home. Mytek still does sell professional equipment; the Mytek website has both a ‘Professional’ and ‘HiFi’ link for its products. And even Mytek’s ‘HiFi’ products such as the DAC + have the fingerprints of pro audio hidden within them, as one finds out when checking out the numerous included options typically available on a Mytek device. Like its predecessor (Brooklyn DAC), the DAC + can handle an amazing diversity of digital files and formats: PCM up to 32/384, DSD up to quadruple rate (DSD 256), and if you desire, at the push of an 'enabling’ button it can fully 'unfold' (using internal hardware) high-resolution MQA including Master Files streamed from Tidal. (Mytek was MQA’s first standalone-hardware technology partner.) Digital inputs include USB, S/PDIF (coaxial), Toslink/ADAT, and AES/EBU. The headphone amp has dual headphone out that can feed one fully balanced pair (via a special dual adaptor) or two regular (non-balanced) pair, and the unit has two stepped attenuator volume controls (one digital, one analog) that range from -99db–0db in steps of 1db. You can choose which volume control to use if the input is digital; analog only (of course) if the input is analog, and in any case, volume control to your system can be bypassed using ‘bypass’ mode if you wish to entirely use your own preamp/volume control. There is also an internal analog preamp (RCA input) that serves as either a phono stage (MM and MC), or for a line level analog input. Analog output from the DAC + includes both single-ended RCA or balanced XLR. The DAC + also comes with an optional Apple Remote control which I did not use in this review; all can be controlled manually from 4 small buttons and a knob on the front, and the front also has a high-resolution LED display that shows a variety of information in different colors including live graphs and has a dimming timer. Pushing the knob turns the unit on/off. Turning the knob controls volume as well as cycling through 6 different sets of 4 options each displayed; 24 options total–enough to even satisfy professionals. Each of the 4 options on a displayed set is turned on for control by pushing one of the 4 buttons, and then its values/functions modified by turning the knob; pushing the button again keeps its value saved and turns the option control off. Clever and efficient. When the unit is plugged in, the Mytek logo ‘M’ shines in the upper left corner and its colors can be chosen from among 16 colors (and its brightness level can be modified as well). The default color is blue; I chose Gold—that gave it a unique glow at night so I could quickly spot it. I was sent a black unit, silver is available too. Just to reiterate before we move on: with either digital or analog input to your system fed to the DAC +, you can either go direct to amp(s) using the DAC’s volume controls or bypass them and use your own preamp–even with a turntable as input. The DAC + has several significant changes as compared to the original model (which came out only 2 years ago): A new state-of-the art Sabre ES9028PRO DAC chip with more (7 now total) digital PCM filter options including a brick wall filter, redesigned analog circuits (separate now for each channel (L), (R)), a newly designed analog attenuator, a re-designed internal switching power supply, and an optimized clock section. As with the original model, firmware updates can be installed using USB. There is no serious price increase over the original Brooklyn DAC. Wow. I want a clean and transparent sound, but not clinical sounding; it is a fine balancing act trying to get it right. I believe that the new analog attenuator moves closer to that ideal. Mac is easiest in my experience when using computers for digital audio; the DAC + is no exception; with Mac, no drivers are needed, it works right away (Linux also does not require extra drivers, apparently). I used a USB connection between the DAC + and my Mac mini music server (Mojo Audio modified, with an external linear power supply and 2 internal SSD drives, one for the Mac OS, the other for music files). I used Roon Labs player software (Mac mini as the core), and Tidal HIFi streaming, with an iPad for control (Roon Player app). Roon recognized the DAC + and I created a separate zone for it. Worked like a charm. And yes, MQA played flawlessly, too. (More on that later.) Although I tested the DAC + going direct to amps, I mainly bypassed the DAC + internal volume control (partially) so that I could use my preamp (PS Audio BHK) as I do with my reference DAC (PS Audio Direct Stream (DS)), and my phono stage, without having to devote my amps only to the DAC + during this review, and because (in my opinion) both my reference DAC and the DAC + sound quality is superior using the BHK. I have gained great respect for using a fine preamp for DACs instead of going direct to amps. That being said, the DAC + direct to amps yields mighty good sound quality just as the DS does; so if you do not have a fine standalone preamp, no worry. Moreover, I did use the internal analog volume control when using the unit’s headphone amp, and for modifying the gain of the DAC + when using other sources in my BHK preamp at the same time: DAC + was 11db higher than my reference DAC, so I used the internal analog volume control and simply set its volume to −11, and all was well; outstanding sound quality. Conveniently, when I did that, I discovered that the DAC + headphone amp keeps its own volume level/control; the −11 was only in play for my main system. Nice. I also experimented with using an external linear power supply for the DAC + in lieu of using its built-in switching power supply. Many audiophiles frown upon using an internal switching power supply; but I think there is a big difference, for example, between using a regular computer (such as a Mac mini) for audio (its internal power supply and implementation within the Mac mini were not designed for high-end audio) versus an audio device in which a built-in switching power supply can be designed properly for optimal sound quality. Be open minded I say. And of course not using an external power supply has the advantage of small size/weight: A typical external PSU can be larger and heavier than the device itself that you are powering and also adds to the total cost. That being said, Mojo Audio makes the superb Illuminati 2 linear power supply unit (PSU) that retails for US $1000, and I have been using one of them to power my Mac mini. Benjamin Zwickel, Owner of Mojo Audio very kindly (at short notice) sent me a second one that I could borrow to use with the Mytek DAC +. In my opinion, this setup significantly increased the sound quality of the headphone amp (clearer; deeper/richer articulate bass, in particular). Interestingly, I also experimented with using just a high-end power cord (Waveform Fidelity) instead of the stock one, and that increased the sound quality of the system (but not the headphone amp) as significantly as did the external power supply. So by using the Illuminati 2, the combo (DAC/headphone amp) was for me pushed to be competitive with devices that cost considerably more even when adding in the cost of the extra power supply. But just as with leaving out my external preamp, just using the DAC + with a higher-end power cord (and no external power supply) yielded outstanding sound quality. Impressive. I played digital files of all sorts, PCM up to 24/352.8, and DSD up to double rate 128–and I was deeply impressed. Outstanding transparency, clarity, soundstage, imaging, lack of distortion. Smooth and very detailed with no hard edges even at high frequencies and/or when played loudly. Master Quality Authenticated (MQA) is all the rage now in digital audio, and with the incessant heated arguing about it on blogs and such one would think it represents a political party. Some attack it as fraud, others embrace it as novel/extraordinary/ingenious. 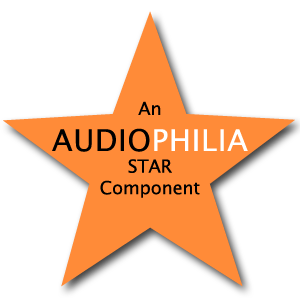 Some audio companies offer compatibility for using it, while others refuse to deal with it. I have met the developer Bob Stuart and listened to MQA files with him and greatly enjoyed the experience—and the sound quality. I have also witnessed audiophile friends/colleagues talk trash about MQA and get into serious verbal arguments. Whatever. But let me be clear: The Mytek Brooklyn DAC + can play it at will if you wish; you are not forced to. To me as a reviewer this makes the DAC + an important tool, just as a turntable is for playing vinyl against digital. It allows for comparisons to be made on the fly and for one to form their own opinions by listening. Here, I give a small look at MQA in this context. But first a brief (watered down for simplicity) background is in order: MQA essentially re-packages and compresses (‘folds’) a high-resolution (HR) PCM file such as 24/96 (it does not matter wether it is FLAC or AIFF, etc.) into the size of a CD quality file, which when played on an MQA decoding capable device, is ‘unfolded’ and played back at its original resolution. On the one hand it has the obvious advantage of allowing the streaming of HR files on services such as Tidal HiFi, and also if kept (folded) on a hard drive taking less space. But on the other hand, MQA folks also claim it can yield a superior sound quality (SQ) over the original PCM file because of the folding process and the way it is played back (filters used etc.). So, even if the original file was PCM at 16/44.1, the MQA folks argue that the end product can lead to better SQ. SQ claims already obviously controversial, the process of MQA folding is not lossless–adding more controversy. But the lossless part is nothing as egregious as MP3; MQA is far more sophisticated and far less ‘lossy’. To add insult to injury, however, in order to play an MQA file (optimally) requires hardware changes to be made in your DAC–creating even more controversy. (It can also be done by software–but that is not optimal at this point-each DAC is different.) You can imagine, then, why some manufacturers are not happy with MQA. In any case, if you play an MQA file on a non-MQA DAC, then it (typically) comes out as 24/48, and does not benefit from the MQA processing. Now, let’s get down to business and do some listening. When MQA mode on the DAC + is enabled, and you play an MQA file, the monitor on the front of the DAC shines a small green or blue light next to the MQA sign letting you know that is has successfully decoded an MQA file and is playing. The correct unfolded resolution is displayed too, typically as 24/48, 24/96 or 24/192–but it can be even higher. When MQA is enabled, and you play a non-MQA PCM file, it defaults to the same PCM filter used for MQA, and that sounded great to me, so I did not experiment much with disabling the MQA (and fiddling around with the 7 filter options–none of them sounded better to me). When you play DSD, the PCM filters/MQA issues are not involved. As a way of killing two birds with one stone, I was able to obtain wonderful relatively new (extremely well recorded) recordings from the Norwegian 2L download site: Reflections, Trondheim Solistene. ; European Tour by Nordic Brass Ensemble ; minor major by the Oslo String Quartet (dowloaded in MQA, not the original 24/358; BACH - Inside Polyphony, piano performed by the young Norwegian pianist Christian Grølen. I say two birds because they were originally recorded at 24/352.8 (2L refers to this as DXD) but I obtained some as MQA made from this same original recording. The files before unfolding were 24/44.1 and after full MQA unfolding were indeed 24/352.8, as shown on both the front of the DAC + and on closely checking the ‘path’ in the Roon player software. This demonstrated how seamlessly the DAC + can handle MQA–but also how seamlessly it can handle a 24/352.8 file. And the sound was divine; (4) was a lively and youthful interpretation with outstanding clarity of the piano containing the four pieces Chromatic Fantasia and Fugue in D minor, Sinfonias, French Suite No. 3, and Partita No. 5, and runs for 1 hour and 18 minutes. Reflections is mesmerizing with superb imaging and a tremendous range of frequencies displayed with such an out of this world level of detail. The DAC + really shined handling all of these. But there is more to this: Tidal HiFi offers the same files for streaming from its servers, and I also obtained from 2L the original 24/352.8 files (non-MQA); their size each was about 4 GB versus only about 650MB for the folded MQA versions! All played seamlessly and all sounded impressive in my opinion; although I would give a slight edge to the MQA versions sometimes on my hard drive, over the non-MQA versions, but nothing conclusive to me; something more musical sounding overall. Summary: Well done DAC +. Did it place me firmly on one side or the other of the MQA controversy? No. But I now have a very important tool at my disposal. As a final comment: This matter is complicated in the same way as when trying to compare DSD with PCM: one needs to know other important information, particularly what mixes/versions are being used in the comparisons. In the examples I used above from 2L, they were all from the same source, but in general that information can be hard to verify. I also listened to (Tidal HiFi streaming) MQA 24/96 of Gaucho by Steely Dan (my favorite Steely Dan album), which I have as a non-MQA 24/96 file, and Biophilia by Björk streamed from Tidal HIFi as both 24/48 MQA and 16/44.1 regular. In some cases when both an MQA and a non-MQA version were available, the gain would be several dB higher in the non-MQA which is one way of detecting a different mix, etc. Just as a headphone amp, the DAC + has much to admire, and it is small enough to pop in your back pack and take it to your office. There are two 1/4” outputs on the front of the DAC +. Together they can serve as a dual mono output for one pair of balanced headphones using an appropriate dual jack. Or, they can support two pairs of (non-balanced) headphones. As such, used individually, to run 2 pairs of stereo headphones, the left one outputs in the signal’s correct polarity, while the right one outputs the signal’s opposite polarity (e.g., negated/inverted); usually referred to as ‘out of phase’ (although phase is technically a different matter involving timing). As an experiment, I hooked up 2 pairs of identical headphones (my reference Master & Dynamic MH40s). The left pair sounded excellent, with power, clarity, and cleanliness, and deep bass, while the right pair exhibited odd distortions. I checked out some more music with the same result. While congratulating myself and bragging to my wife for being able to distinguish ‘out-of-phase’ played music, reality set in. Something must be amiss I decided; how is it that I and only I can distinguish ‘out-of-phase’—on every piece of music? Sure enough, I swapped the headphones and now the left pair was the one distorted. Turns out it was a damaged headphone cable; I replaced it and all was well. Listening to several tracks, I could not tell the difference between the two. A bit embarrassed, I decided not to explore this matter any further. If you choose to bypass the DAC’s internal volume control for your system, and choose AUTO output signal routing, and plug in headphones, the internal volume control takes over and your system output is muted. To use this feature, you set input to ‘analog’ and set ‘analog input’ to either P MM, or P MC (‘P’ for phono). (You can also set it to ‘Line’, for a different analog line level input.) Impedance loading is 1 K ohm for MC, and 47 K ohm for MM. Gain is about 45db for MM and 65 for MC. I experimented with my VPI Prime Turntable and my Grado Statement v2 Cartridge. Considering all the other high-level qualities of the DAC +, the phono stage yielded very nice sound quality; this was icing on the cake. The sound quality could not compare with the (much higher-end) reference phono stage I used along side (Pass Labs XP-17), but few phono stages could, even those that cost several times the price of the DAC +. So my comments here are meant as a compliment. As a DAC alone, at just $2195, the Mytek Brooklyn DAC + is world-class. It is very competitive with DACs that cost far more, and it can play PCM up to 32/384, DSD up to quadruple rate and can fully unfold MQA files internally. And when you add in all the integrated features (two volume controls, a headphone amp, an analog preamp, phono stage, and some professional functions, too) all contained in a little light box, it is hard to fathom why anyone would not want one. An amazing accomplishment. Interconnects : Anticables Level 6.2 ABSOLUTE Signature RCA, Anticables Level 4.1 Reference PLUS Xhadow (with cryo option) XLR, Mojo Audio Lucent SE XLR, and Antipodes Reference XLR.